Purchasing an RV is a large investment. With RV’s sometimes costing the same as a car or even a house, it makes sense to make sure you have the right protection in place in case something goes wrong. Read on as ARC outlines when RV insurance is necessary, and when it’s nice to have. Make sure you chat with your broker to learn if you are required to hold RV insurance in your province. If you have a motorhome. 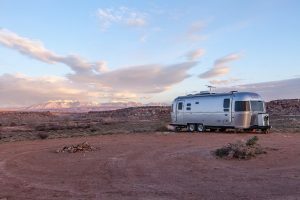 While towable RV’s can normally be added to your existing home or auto insurance policy, motorhomes are considered to be their own vehicle, and therefore require their own policy. If you don’t own your RV outright. If you’re financing your RV, your lender will most likely require you to hold insurance to ensure they are reimbursed in case of a loss. a breakdown. Your auto insurance policy may include towing and roadside assistance for your vehicle, but it doesn’t always extend to your RV. if your RV gets stolen. Standard auto insurance policies will usually pay the actual cash value (ACV) for stolen RV’s. ACV means you’ll get the market value as determined by third-party sources. If you have RV insurance, you will be able to choose from a couple of different options when it comes to reimbursement. damage. Many RV owners will leave their RV’s parked outside for storage, opening them up to more risks that just theft. Storm damage, vandalism, or rodent infestations are all common (and expensive) problems that RV insurance could help cover. an injury on your campsite. If someone is injured in or around your RV, you could be held liable. Some RV insurance policies will offer special liability coverage to help cover the costs associated with a lawsuit. Chat with an ARC insurance broker today to learn your options when it comes to RV insurance. Our team will make sure you’re getting the right coverage for your needs.